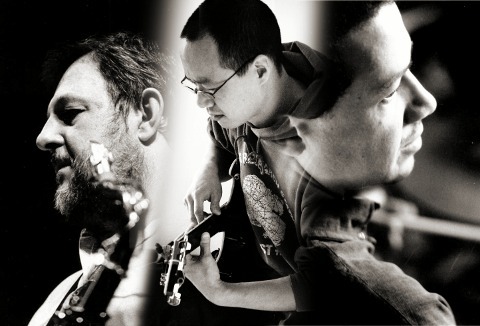 The complete recording of the February 15, 2011 performance by Paul Dunmall (saxophones and bagpipes), Han-earl Park (guitar) and Mark Sanders (drums) is now available for download below. Very proud to present these recordings; I feel privileged to have performed alongside these powerful musicians. Many thanks to Chris Trent for the recording, and Mike Hurley of Fizzle for hosting the performance. shoapnxoe gutair dmurs a.i 14:44 mp3 file. 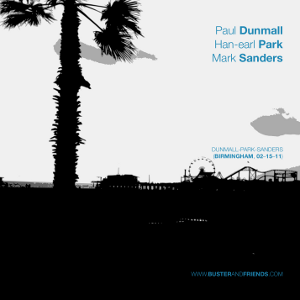 Paul Dunmall (saxophone), Han-earl Park (guitar) and Mark Sanders (drums). shoapnxoe gutair dmurs a.ii 15:44 mp3 file. sohoaxpne giautr dmrus b.i 13:05 mp3 file. Paul Dunmall (saxophone and bagpipes), Han-earl Park (guitar) and Mark Sanders (drums). 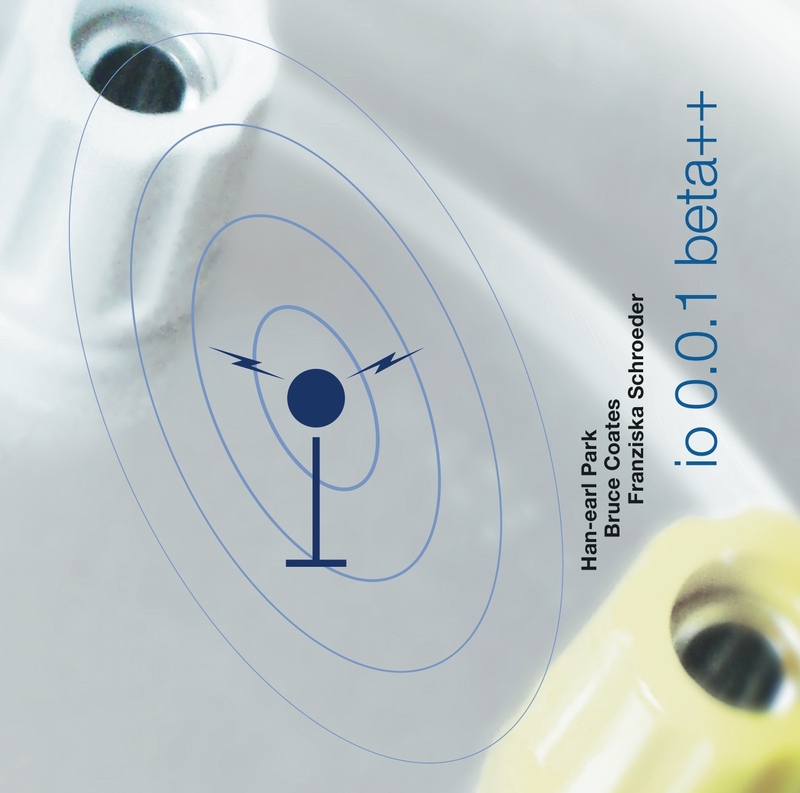 sohoaxpne giautr dmrus b.ii 6:45 mp3 file. sohoaxpne giautr dmrus b.iii 11:47 mp3 file. Recorded on February 15, 2011 at The Lamp Tavern, Birmingham, presented by Mike Hurley/Fizzle. 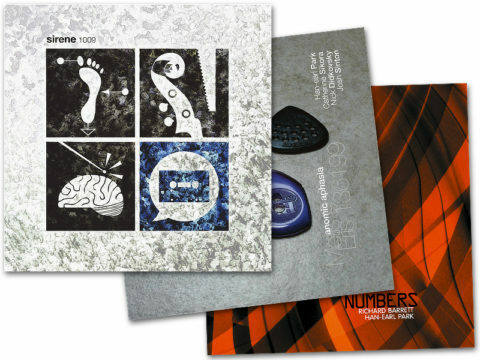 Recorded and mixed by Chris Trent. Above recordings (shoapnxoe gutair dmurs a.i, shoapnxoe gutair dmurs a.ii, sohoaxpne giautr dmrus b.i, sohoaxpne giautr dmrus b.ii and sohoaxpne giautr dmrus b.iii) released under a Creative Commons Attribution-Noncommercial-No Derivative Works 3.0 Unported License. Please attribute the recordings to Paul Dunmall, Han-earl Park, Mark Sanders and Chris Trent. 10–12–12: withdraw tracks in anticipation of the rerelease. 11–13–12: add link to announcement. 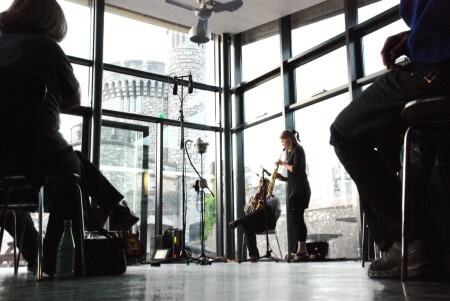 Thursday, July 29, 2010: It’s been a little while, but I’ll be doing a solo (or guitar-guitarist duet) performance later this month at the Lewis Glucksman Gallery (Cork, Ireland). The event begins at 6:00pm and admission is free. 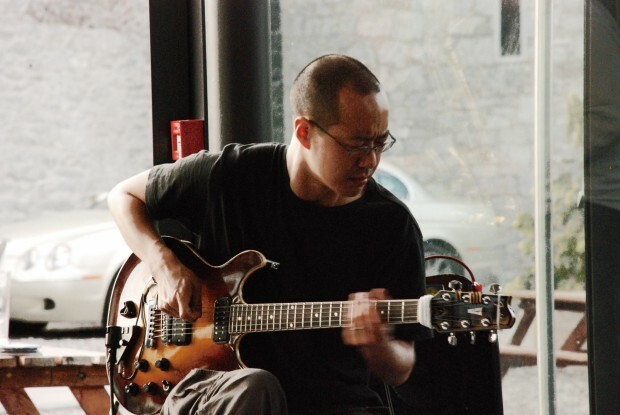 The Lewis Glucksman Gallery presents a performance of solo guitar improvisations by Han-earl Park. The event begins at 6:00pm and admission is free. 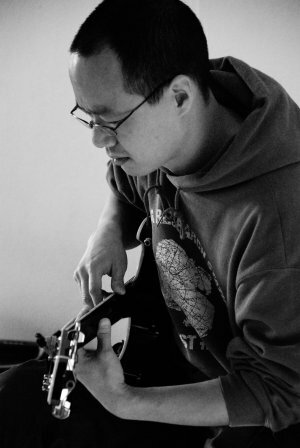 Improviser, guitarist and constructor Han-earl Park’s playing has been described by Bruce Lee Gallanter (Downtown Music Gallery, New York) as “careful, crafty and well-played with that restrained yet fractured guitar that sounds so good,” and as “beautiful music, incredibly focused” by Nick Didkovsky (Doctor Nerve / Punos Music). Park has performed in clubs, theaters, art galleries, concert halls, and (ad-hoc) alternative spaces in Denmark, England, Ireland, The Netherlands, Scotland and the USA. He is involved in ongoing collaborations with Bruce Coates, and with Franziska Schroeder, fifteen year long associations with Alex Fiennes and Murray Campbell. 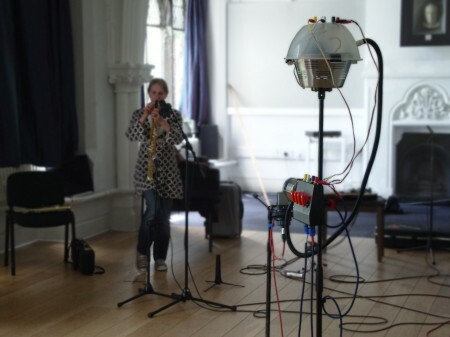 Recent performances include ensemble Mathilde 253 (Park, Charles Hayward and Ian Smith) with Lol Coxhill, a concert with Paul Dunmall, with Kato Hideki and Katie O’Looney, an improvisative meeting with Thomas Buckner and Jesse Ronneau, and the performance of Pauline Oliveros’ ‘Droniphonia’ alongside the composer. He has appeared at festivals including Sonic Acts (Amsterdam), the Center for Experiments in Art, Information and Technology Festival (California), dialogues festival (Edinburgh), Sonorities (Belfast) and VAIN Live Art (Oxford).